The Corporate Finance Team offers a complete range of services comprising equity capital markets (IPOs, secondary offerings, block trades, public tender offers, share buy-backs, etc. ), debt capital markets (equity-linked and straight bonds, hybrid instruments, capital structure advisory, restructurings, bond repurchases, etc.) and merger & acquisitions (acquisitions, divestiture, mergers, MBOs, succession planning, valuations, etc.). We cover the whole value-chain of a corporate finance transaction from the generation of ideas for our client to the structuring of the best solution and the subsequent execution and implementation. In our main business areas we hold leading positions in the Swiss Mid&Small Cap market. While the capital market business is primarily focused on Switzerland, we are regularly involved in cross-border M&A transactions. We work closely together with Equity Brokerage and our Fixed Income Desk, as well as with the respective Research Departments. The GTP "Corporate Finance" is primarily focused on Equity Capital Markets, Debt Capital Markets and Mergers & Acquisitions/Advisory. The close collaboration with Brokerage gives the possibility to get insights into their business as well. I had the opportunity to write my master thesis for Vontobel and during this time I became familiar with the company, its values and its culture. 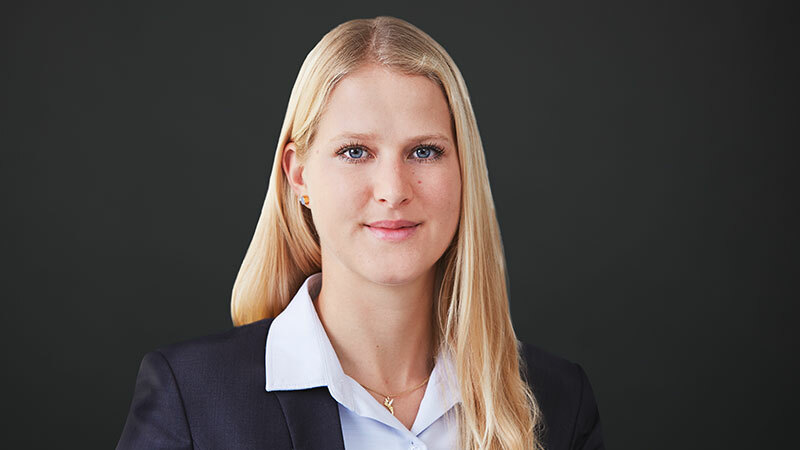 I quickly realized that Vontobel is the ideal place for me to start my career. I always wanted to work in corporate finance and the Corporate Finance GTP at Vontobel was especially interesting because it combines all the areas (ECM, DCM and M&A) in one team. My colleagues are highly knowledgeable in all thematic fields and I am exposed to different transactions and topics every day, which maximizes my learning opportunities. In general, being part of transactions such as the Landis+Gyr IPO or the mobilezone capital increase is very exciting. But there is not just one single moment that I could define as my personal highlight. It is rather the fact that our work is very close to the market and hence very dynamic and exciting. No workday is like another and there are many challenges that require me to be creative and to further develop my knowledge and understanding of the capital markets. Be curious, never be afraid to ask questions and try to learn something from every experience you make. Apply via the "Apply now" button below.